Pet Shop Confidential Presents - Animals and the Idiots Who Love Them • A podcast centered on the pet industry, general animal stories, and news, all told with irreverent humor. It’s okay. It’s with a “t”. We have gotten too big for our britches and have decided to move on from being self-hosted. The website will still be here, but all of our episodes are now hosted over at PodBean! You have probably noticed a few changes with the website as well, including new media players. In the top right corner of each episodes player are both a ‘share’ and ‘download’ button, so you can still grab the episodes any way you like. Sharing is also the nice thing to do, so do it often! 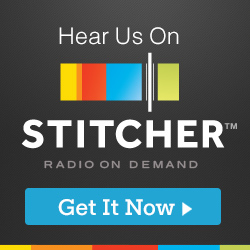 We would love to hear from you and get some feedback if you are having persistent problems, and let us know if you are finding us on your listening device / app of choice. We are on iTunes, Google Play, Stitcher, Overcast, and now Podbean. You can also get a hold of us via our Twitter, Facebook, or direct Email.